Randy started boating at a very young age growing up boating on the Great Lakes. He decided that his passion for boating should be his career. For over 40 years he has done just that. He has owned a full service marina for years and has sold hundreds of boats new and used throughout the years. He has been involved with many new builds both in the United States and overseas. Randy also has made numerous boat trips to and from the Great Lakes, South Florida, and the Bahamas. 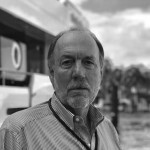 Together with IYC Yacht Sales Consultant David Bourbeau, Randy is managing IYC’s Great Lakes office.